While the big game turned out to be a big disappointment for some, there was still plenty to enjoy this year. Here are a few of the NeigerDesign team's favorite moments from Super Bowl 48. "I thought the Axe Peace commercial was outstanding. Basically a visually stunning mini-movie with multiple compelling story lines and characters, with a great twist ending, all tied into the product name. Great entertainment. Great marketing." 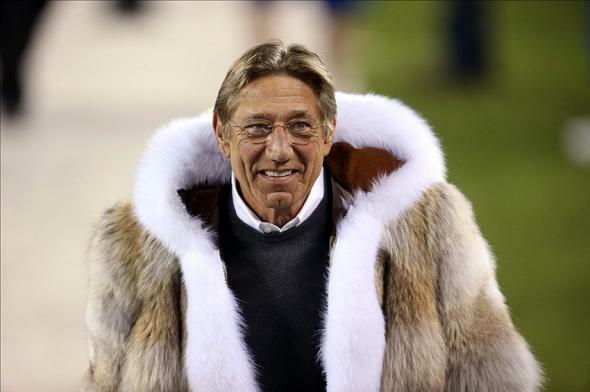 "I clapped quietly as Joe Namath emerged on to the field for the coin toss. Then I had the urge to throw ketchup on him." "The only one that stood out to me was the Colbert Pistachios commercial. Also what was with the reading of the Declaration of Independence?" Jim: Enjoy Illinois "Mini Abe"
"The Mini Abe Super Bowl ad was great. It shows that you don't need a big production budget to do an effective and creative ad." Ashley: Enjoy Illinois "Mini Abe"
"While this commercial sparked some controversy, I couldn't help but love it! I laughed especially hard when he screamed at the statue of himself. Check it out and then come check out Chicago." "Just because it was funny :)"
We tried to get a favorite moment out of Carol, but eventually she confessed to painting the whole time. So how about it, did we miss anything you liked? Let us know what you thought of this year's Super Bowl.